In 2010 Vjeran Tomic managed to pull off an improbable heist. 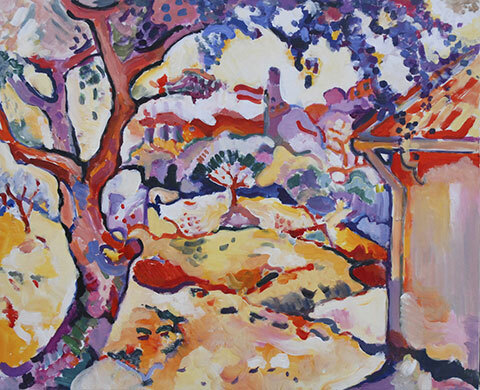 During a series of late night visits, he managed to make off with five important works from the Musée d’Art Moderne, including Pastoral by Henri Matisse, Woman with a Fan by Modigliani, Pablo Picasso’s Dove with Green Peas, and George Braques Olive Tree near Estaque. These works were always going to be difficult to sell, leading many to speculate they might have been destroyed. This might sound like braggadocio, but Tomic did make off with some masterpieces. 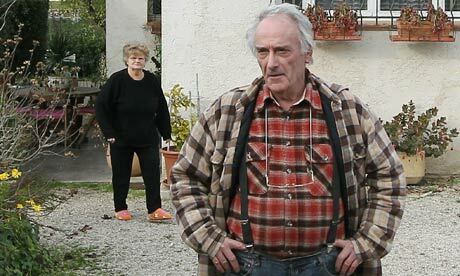 In the fall of 2000, in an episode that subsequently made the papers in France, he used a crossbow with ropes and carabiners to sneak into an apartment while its occupants were asleep and stole two Renoirs, a Derain, an Utrillo, a Braque, and various other works—a haul worth more than a million euros. Jake Halpern, The French Burglar Who Pulled Off His Generation’s Biggest Art Heist, The New Yorker, Jan. 7, 2019, https://www.newyorker.com/magazine/2019/01/14/the-french-burglar-who-pulled-off-his-generations-biggest-art-heist [https://perma.cc/M7FK-M39R]. Its a terrific profile, and if you enjoyed it, it recalls another terrific read, David Grann’s profile of the prolific aging bank robber Forrest Tucker. Worldwide, many cultural properties have been wrongfully exported to other countries in times of war and colonization. Furthermore, cultural properties are currently constant targets of illegal transaction due to their substantial economic value. Illicit trade in cultural properties is now the third largest black market after drug and firearms. There are several international treaties aimed at combating the illicit export and enabling the restitution of cultural properties. Despite these efforts, more legislative and judicial cooperation between countries will be necessary to truly solve the problem. This article reviews international legal instruments for restitution of illegally exported cultural property, and suggests some new judicial principles that should be applied by domestic courts for supplementing drawbacks of international treaties. The author suggests to adopt “lex originis” rule for choice of governing law instead of traditional “lex rei sitae” rule and to apply to shifting burden of proof to a certain extent to find a solution for disputes over cultural properties. Ho-Young Song, International Legal Instruments and New Judicial Principles for Restitution of Illegally Exported Cultural Properties, 4 Penn. St. J. L. & Int’l Affairs 718 (2016). Yates Donna, ‘Uigwe « Trafficking Culture’ (14 March 2014) <http://traffickingculture.org/encyclopedia/case-studies/uigwe/> accessed 23 August 2016. 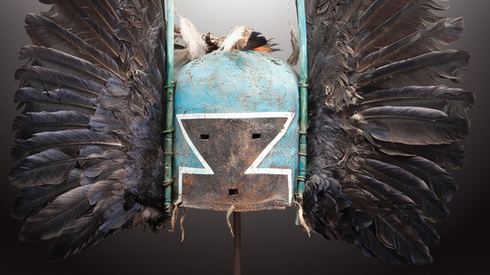 Native American objects make for popular, if controversial, auctions in France. And that trend looks to continue. Last month in Paris the auction house EVE had put up for auction a number of sacred native american objects. The objects had been held by French private collectors. Their history has not been uncovered by the press. Many of the object originated from the Hopi nation, and the Hopi went to French court to seek a return of the objects, but were unsuccessful. These are not trophies to have on one’s mantel, . . . They are truly sacred works for the Native Americans. They do not belong in auction houses or private collection. At the auction, the foundation purchased the ability to make the decision about who should own the cultural artifacts, notably, artifacts the tribes couldn’t — or wouldn’t — buy themselves, even after legal and diplomatic efforts to delay the auction failed. And even though the foundation arguably made the right decision to restore the artifacts to the tribes, it has legitimized the very situation it means to criticize, making the sacred objects seem fair game. Moreover, the subjects of the tribes’ and the foundation’s censure — the auction house and those participating in the art market — are unlikely to hear the reproach, especially because the auction proved so successful. The auction house likely cares more about the $1.6 million in sales than who bought the contested items or what happens to them. Maybe it would have been better for the tribes to have lost the objects. The tribes could have made a more meaningful statement by repudiating the sale and doggedly insisting on their legal claims to the items. Such a response would reaffirm the tribes’ sovereignty while rejecting the notion that a price can be put on sacred objects. However, the decision to make such a sacrifice — forgoing their cultural artifacts — has to come from the tribes. The best bet for indigenous people to secure their cultural property is through the legal system, where taking a principled stand could pay dividends. A good result was reached in this case for the Hopi. Their sacred objects can return home. And the Annenberg foundation certainly has the funds for this. But the underlying mechanics of auctions and heritage protection and preservation remain unchanged. Other groups without the goodwill of well-funded organizations will not see such a good result. Tom Mashberg, Secret Bids Guide Hopi Indians’ Spirits Home, The New York Times, Dec. 16, 2013. Can the Hopi Thwart the Sale of Sacred Objects in Paris Next Week? The auction house claims that the objects were purchased as early as the 1930’s, and that all the objects were sold as long ago as the 1960’s. 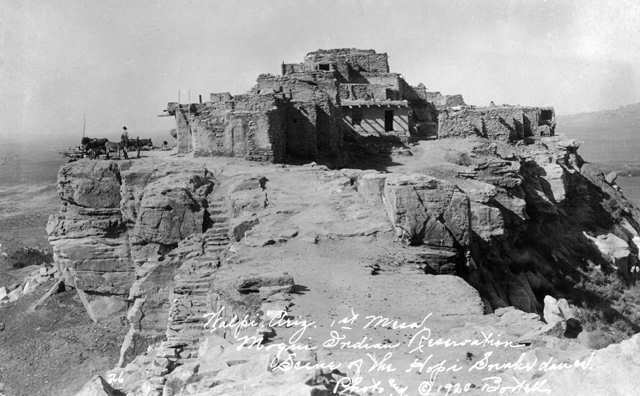 Historians say many Hopi artifacts were taken long ago by people who found them unattended in shrines and on altars along the mesas of the Southwest. Others were confiscated by missionaries who came to convert the tribe in the late 19th century. Some were sold by tribe members. But even those sales were not legitimate, Hopi leaders say, because they may have been made under duress, and because the tribe holds that an individual cannot hold title to its religious artifacts — they are owned communally. This of course is why many of these objects were acquired in the last century. The Hopi have a fundamentally different view of property and sacred objects. They have a communal relationship to these objects. When that view of objects is linked with western legal systems, the results can be messy. But I think there are a number of legal challenges that can be made to the auction of these objects. Possible action could include an action for the recovery of stolen property. The Hopi would have to establish that they have a relationship to these objects that is sufficient to allow a French court to deny the sale. Or the United States government could intervene and protest the sale on the grounds some of the objects were removed from Federal or tribal lands and are considered stolen under the Archaeological Resources Protection Act. But the difficulty with both of those legal options is the problem of proof. The best chance for a quick resolution to the sale may be to generate enough headaches for the auction house, the consignor, and any potential buyers. The New York Times piece will help raise the profile for the auction, but it will also require some vocal and I’m sorry to say expensive, actions on the part of the Hopi or their advocates. In a case like this, it is true that seldom have we seen works of art from the United States exported and sold in a way which upsets the creator culture. If the market for Native American art continues to be this robust, it may take more concerted action on the part of the Federal government to intervene. I don’t think this is an issue of uneven application of international cultural heritage law, much of which is soft. The reporting and some reaction seems to suggest the U.S. does a better job of helping foreign nations in their efforts to repatriate. I don’t get the sense that that is right. Rather I’m not sure we have a good robust set of tools to seek repatriation from abroad when it is warranted. And there are a number of reasons for that. For one, I don’t think Native American tribes have been confronted with this problem very often either because it didn’t happen or they weren’t aware. But also we don’t have a good organized cultural apparatus in the United States. We rely on lots of very capable Museums and other organizations. But in the case of international repatriation. It really helps to have an active and organized set of voices acting in concert. We just don’t have that in the United States. So there are challenges for the Hopi here, but other similar groups have shown that patient and persistent appeal to reason can impact the disposition of these objects. Mashberg, Tom. “Hopi Tribe Wants to Stop Paris Auction of Artifacts.” The New York Times, April 3, 2013, sec. Arts / Art & Design. Author Derek FinchamPosted on April 5, 2013 Categories RepatriationTags France, Hopi2 Comments on Can the Hopi Thwart the Sale of Sacred Objects in Paris Next Week? On Friday and Saturday in Paris Sotheby’s auctioned a number of allegedly Pre-Columbian objects from the Barbier-Mueller collection. Nord Wennerstrom reports that many of the lots sold for less than the low estimate, and 79 of 151 lots failed to sell. His take: the auction ended as “inauspiciously as it began”. Sotheby’s lists its sale results here. The auction generated considerable interest last week. In anticipation of the sale Mexican officials protested and noted: “Of the 130 objects advertised as being from Mexico, 51 are archaeological artifacts that are (Mexican) national property, and the rest are handicrafts”. In this case “handicrafts” is a very polite way of pointing out that some of the objects are fakes or forgeries. In this case the sale continued, but the considerable notoriety surrounding the sale certainly diminished the market value of these objects, and in many cases made these objects too toxic perhaps for some buyers. French diplomats last week did not intervene in the sale noting that none of the objects had appeared on the Interpol database, or the “red list” published by the International Council of Museums. Sotheby’s Paris on its website stated the collect was started in 1920 by Jose Mueller. His son-in-law Jean Paul Barbier-Mueller broadened the collection. 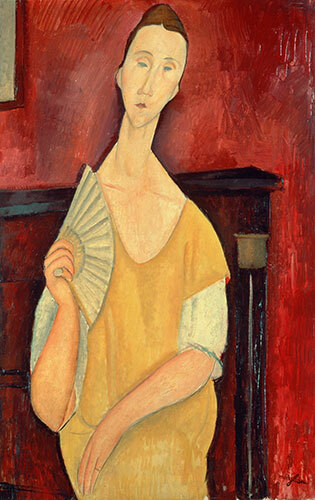 Sotheby’s described Barbier-Mueller as “a great aesthete and man of culture”. In 1908 and 1909 Josef Mueller acquired major works by Hodler and Cézanne in Paris. While initially focusing on Western masterpieces of universal appeal, he soon became attracted by important works of Pre-Columbian art, his first purchase being an Aztec ‘water goddess’ in Paris in 1920. His son-in-law Jean Paul Barbier-Mueller, a great aesthete and man of culture, brought this high standard of collecting to other fields, such as African Art, Oceanic Art and Cycladic Art. His dedicated focus has resulted in the well-deserved reputation for excellence that the collections have today. Mr. Barbier-Mueller and his wife Monique Barbier-Mueller (Josef Mueller’s daughter), who has pursued modern and contemporary art, have achieved one of the foremost collections of art in private hands, one defined by their sophisticated knowledge and refined eye. Some of this collection had been in existence since the early part of the 20th century. But not all of it. In a case like this, Mexico and other nations of origin have a limited range of options here. Their best way to attack the sale of these objects is exactly what it did. Make a public protest over the sale, and enlist the power of the press to reduce the market value of these under-provenanced objects. We are unsure now what will happen to the objects which did not sell. Contrast this situation with what might have happened had this auction occurred in the United States. Increasingly unprovenanced objects are being regulated by Federal prosecutors, at least in New York and St. Louis. We certainly don’t know if a forfeiture would have happened in this case, or indeed if that was even a consideration in the decision to sell these objects in Paris rather than New York. But it is yet another example of the complex web of legal rules and norms which apply to the antiquities trade. Mark Stevenson, Mexico demands Sotheby’s halt auction of artifacts, The Washington Post, March 23, 2013, http://www.washingtonpost.com/entertainment/mexico-demands-sothebys-halt-auction-of-artifacts/2013/03/21/e5d18316-9274-11e2-bdea-e32ad90da239_story.html (last visited Mar 25, 2013). Mike Boehm, Mexico trying to stop antiquities sale at Sotheby’s in Paris, Los Angeles Times, March 22, 2013, http://www.latimes.com/entertainment/arts/culture/la-et-cm-mexico-wants-to-stop-sothebys-precolumbian-art-auction-20130321,0,5085665.story?track=rss (last visited Mar 25, 2013). 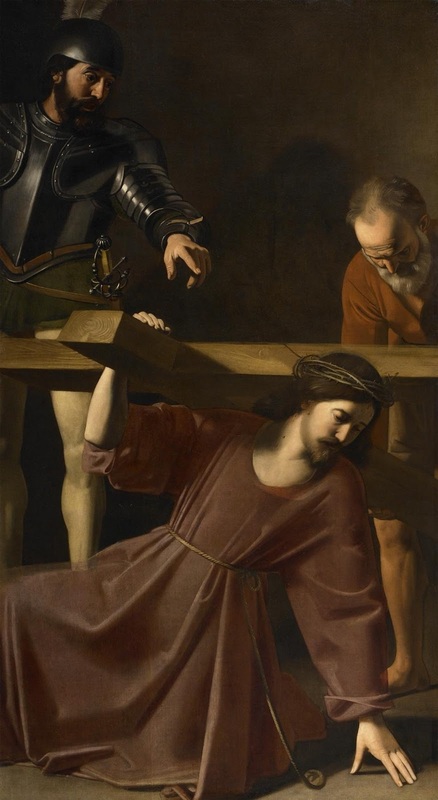 The owner of Weiss Gallery in London is in “complete shock” after officials from the French ministry of culture have refused to allow The Carrying of the Cross, by Nicolas Tournier to be taken from France back to England. The gallery purchased the painting at a Maastricht art fair last year for 400,000 Euros. The gallery took it to a small old master art fair in Paris called Paris Tableau, but France has now detained the work of art. Mark Weiss, the owner of the gallery stated “I’ve been in communication with the director of the Toulouse museum since I acquired the painting in 2010, and at no stage has he ever stated that the picture was a stolen painting.” The work originally hung in a chapel in Toulouse, but during the French Revolution the work was confiscated and moved to a museum. It was then apparently stolen from a museum in 1818. It would be interesting to know more about what those conversations were like between Weiss and the Toulouse museum. France has argued this is the rediscovery of a long-lost work, yet it was stolen nearly two centuries ago. Have there been persistent claims for its return? I’m not sure. It is difficult to envision the French have the legal right to seize the painting so long after its theft. They do have the de facto power perhaps to temporarily detain the work, and make life very difficult for the gallery owner. Any experts in the area of French law care to offer any opinions? The newspaper accounts have merely focused on the seizure, without diving into the merits. AFP: British gallery rejects France’s claim to painting, (2011) (last visited Nov 9, 2011). Is an Electrician the greatest Picasso Thief? Pierre Le Guennec, 71, was caught and sued along with his wife when he contacted the late Spanish painter’s estate seeking to authenticate the works, which he had kept in his garage for nearly 40 years, Le Monde newspaper said. The local public prosecutors’s office declined to confirm the report to AFP and Le Guennec and his lawyer could not be reached for comment. The report said Le Guennec claimed Picasso and his wife and muse Jacqueline had personally given him the works when he was working at their farmhouse in Mougins, not far from his own home in Mouans-Sartoux, southeastern France. Investigators found however that some of the works — which include collages, sketches and prints — disappeared from another location, Le Monde said. They seized the works and charged the couple with handling stolen goods. 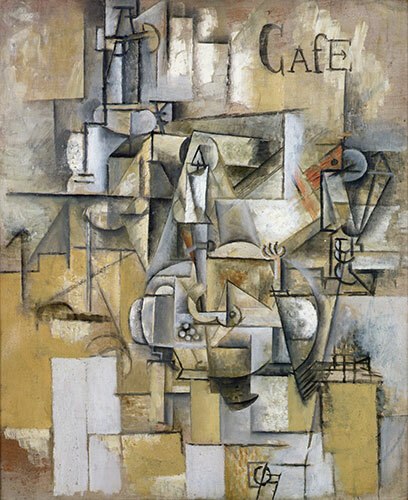 Author Derek FinchamPosted on June 13, 2011 Categories UncategorizedTags Art Theft, Authentication, France, indictments, Picasso, Pierre Le Guennec1 Comment on Is an Electrician the greatest Picasso Thief? Art thieves strike in Marseille, BBC, May 22, 2010, http://news.bbc.co.uk/2/hi/world/europe/10142303.stm (last visited May 24, 2010). 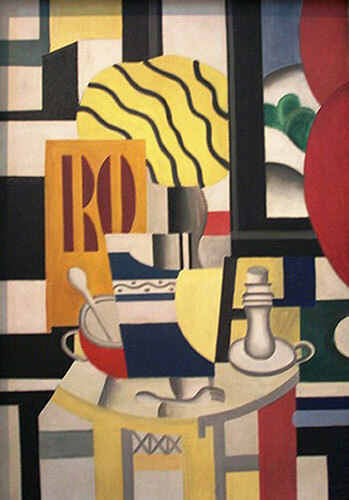 Very early this morning in Paris a thief stole these five works from the Musee d’Art Moderne near the Eiffel Tower. CCTV cameras have reportedly caught one person breaking through a window. Lots of figures will be thrown around about the value of these paintings, as for the reasons for the theft. The value estimates are very rough, ranging already from 100-500 million Euro. Yet these works can never be sold in a legitimate market, so in one sense their market value means little. They have a kind of value in that they are so precious, museum and the authorities may be willing to take—or at least the thief thinks they will take—the unwise step of paying a ransom. Or other criminals may try to launder some or all of the works through different individuals, in much the same way the Leonardo Yarnwinder was transferred. Why were the works stolen? There are many reasons, but the simplest one may be the the most likely. It is really not that hard, despite the loss we all suffer when works are damaged or lost forever. 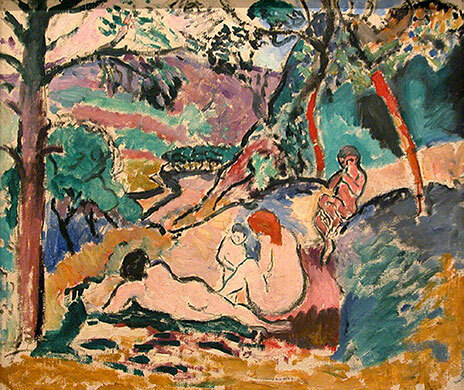 The Paris art theft has robbed us of some truly great paintings | Jonathan Jones | Art and design | guardian.co.uk, (2010), http://www.guardian.co.uk/artanddesign/2010/may/20/paris-art-theft-picasso-matisse (last visited May 20, 2010). Catherine Hickley & Craig A. Copetas, Picasso, Matisse Paintings Stolen From Paris Museum – Bloomberg, http://preview.bloomberg.com/news/2010-05-20/picasso-matisse-modigliani-paintings-worth-123-million-stolen-in-paris.html (last visited May 20, 2010). AFP: Thief lifts 500 mln euros of art from Paris museum, , http://www.google.com/hostednews/afp/article/ALeqM5irIRZ91WXBYeoJF1elwGm7XVV4Eg (last visited May 20, 2010). Last week the French National Assembly made the decision to return the mummified heads of 16 Maoris. Maoris kept the tatooed heads and preserved them to honor their forebears. When Europeans encountered these, many of the heads were taken back to Europe and put on display in museums. New Zealand has requested these heads—as many as 500 heads may have been taken by colonial powers—since the 1980’s, but the issue gained widespread attention in 2007 when a city council voted to return one head. The decision was overturned by the French Culture Ministry in part because these objects had ceased to become only human remains but had also become works of art. The French Assembly has overwhelmingly decided to return the heads to New Zealand within the next year. Maori Heads – Top 10 Famous Stolen Body Parts – TIME, http://www.time.com/time/specials/packages/article/0,28804,1988719_1988728_1988720,00.html (last visited May 14, 2010). France to return 15 Maori heads, BBC, May 5, 2010, http://news.bbc.co.uk/2/hi/europe/8661231.stm (last visited May 14, 2010). AFP: French parliament votes to return Maori heads to New Zealand, , http://www.google.com/hostednews/afp/article/ALeqM5jtL1CzbXXwAe2W9N6IedQHuTPawg (last visited May 14, 2010).